As I sit here in my parlour and watch the carriages coming and going, one might wonder that such a stately form of transport could be anything other than graceful. In fact, a trip out in the phaeton to admire one's country estate could prove to be a fatal mistake and many an illustrious life has been cut short by an uneven road or a shying horse. 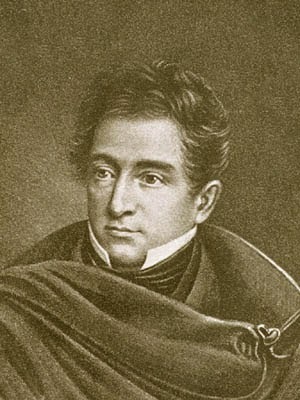 One such life was that of Pierre Derbigny, the French-born sixth Governor of Louisiana. Derbigny left his native land for America in 1791 and made a home there, raising a family and pursuing a highly success political career. Derbigny's term of office as Governor of Louisiana began on 15th December 1828. When he had been in office for just ten months he took a trip along the West Bank of the Mississippi by carriage and was thrown from the vehicle. Governor Derbigny suffered massive injuries in the accident. He lingered on for three days before his wounds claimed him, the governor of Louisiana dead before even a year in the job. He was laid to rest in St. Louis Number 1 Cemetery in his adopted home of New Orleans, a continent-crossing career at an end.